Brand Content pivots your Brand story in a format that consumers find engaging. Engagement and Interactions are important for bringing in conversions and cascading conversations that surround your brand. 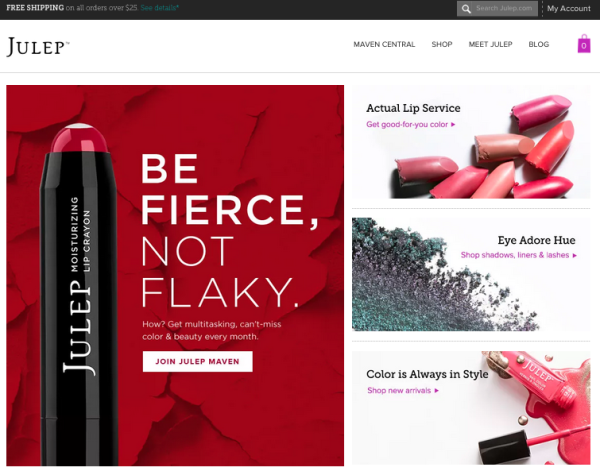 One of the key Digital tools impacting shopper behavior is Brand Social that relies on brand content with a site design that renders itself for greater responsiveness. Brands that have been successful over time have often carved a unique Brand position where they are known to stand for something singularly. According to Al Ries “The 22 Immutable Laws of Branding” , The Law of Singularity, a brand is the single idea that you own in consumer or prospect’s mind. Brand Content for Storytelling starts with the purpose that goes to support the singular idea that the Brand wants to own in the consumers mind. 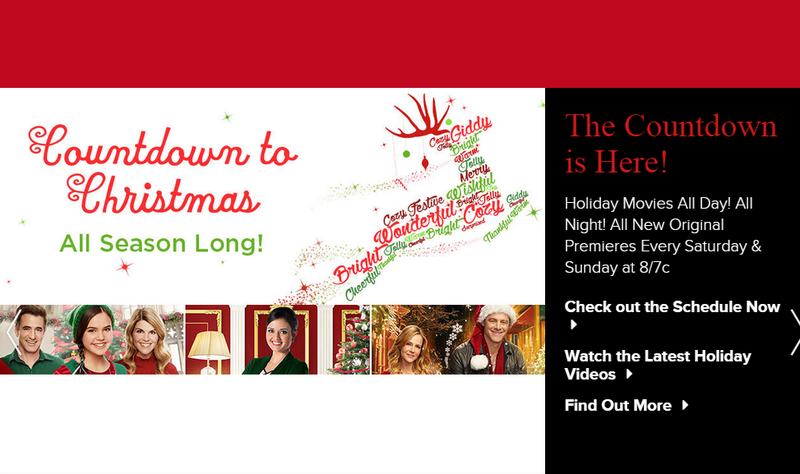 Hallmark Movie Channel has launched a Countdown To Christmas where the idea is to show Christmas Movies every day with a new premiere every Saturday and Sunday. Hallmark channel that is singularly known for providing “Quality Family Entertainment”, has consistently advertised promotions and promoted movies that engender the singularity in Brand proposition. Brand Content creates greater ad recall with a Brand site. With content targeted at different segments for your products for different seasons and occasions, audiences are more likely to engage with your content on the go. For the Omni-channel buyer Mobile targeting in apps and browsers with a Mobile site has become key for brand discovery. Brands that are consistently engage audiences with promotional offers and contests to be the preferred brand with audience, require a “Campaign led” Marketing approach. Nike has customized the landing page for the site with campaign visual “Snow Day” launched recently. Walmart’s Holiday Rollbacks, with special offers featured for different categories, with the promise of offers available through the Holiday Season are featured on the brand’s site. Using an optimized search strategy can help audiences discover your content. Brands that announce the offers and promotions on the site are not only seen as rewarding but often generate a phenomenon of “Flocking” where users visit the site to see the next deal or offer. The content that audiences view often leads to shares and generating a word-of-mouth for contests and offers. Marriott Rewards allows users to list up to 50 friends for Super Bowl 50, for a chance to win a trip with Flight, Hotel and tickets paid for. 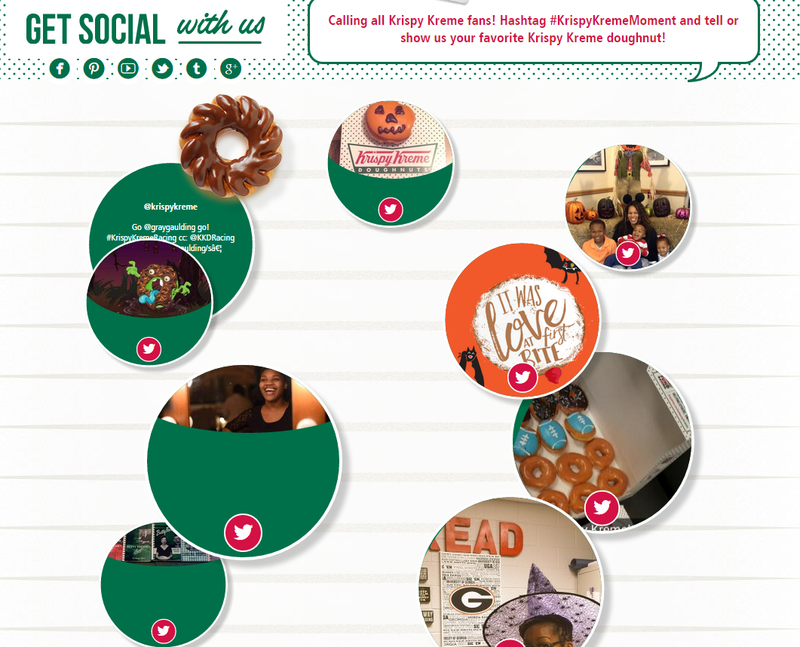 Krispy Kreme’s site design encourages interactivity on Social channels with User generated Tweets and Instagram posts, prominently featured on the brand’s site. The product and the shop sections are customized to feature seasonal offers that create recall for new product launches and limited time offers. Brand content allows brands to emotionally engage audiences with content that is most likely to resonate with the target audience. With content that is targeted a personalized, Brands can engage the shopper one-on-one with campaigns and loyalty programs. Nike has promoted the Get out here collection with different types of Winter wear that audiences can choose from for the type of Winter wear that is required. Taking the experience a step forward the specific winter-wear collection is further categorized to match the mood of the audience with descriptive names such as “Reflective”. Brands that are looking at creating audience empathy need to define the buyer persona as closely as possible. This is a step ahead of segmentation where you are looking at buyer profiles. 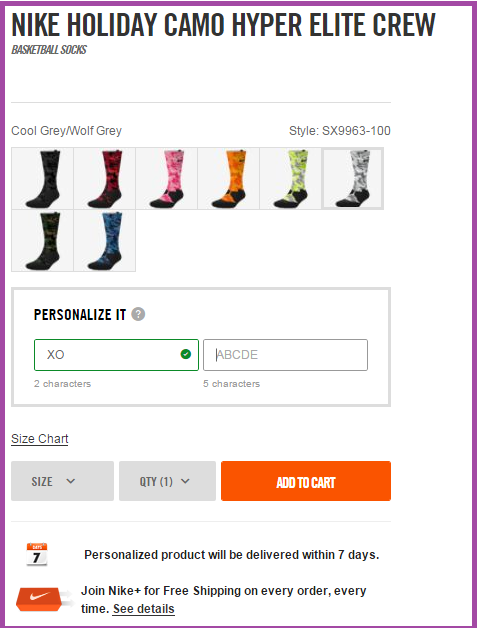 Nike has taken Personalization to an all new level allowing for personalization where audiences can choose for characters to be printed on socks. With personalized products brands can look at generating greater impact on social media with campaigns and social media posts that are most likely to be shared. 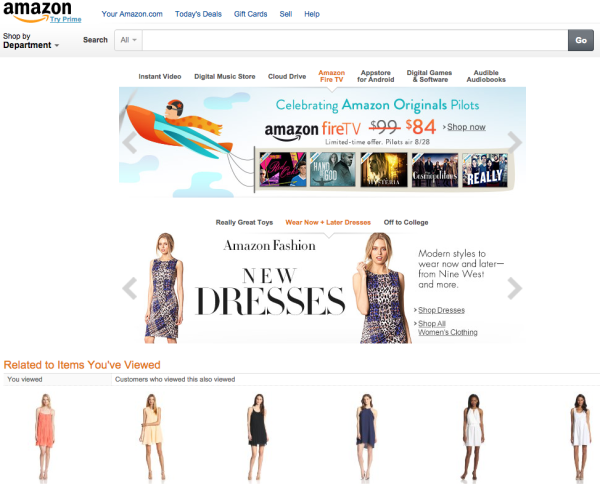 Amazon generates sales with recommendations that are based on probabilistic modelling offering audiences a choice of selection that may appeal to them. Starbucks extended the brand’s seasonal offering Pumpkin Spice Latte with a new brand site on Tumblr – TheRealPSL. The brand site was effective in extending the Starbucks brand to a target audience that is more focused with a completely different positioning and marketing approach. With a Tumblr. brand site, Starbucks has created a seamless mobile experience for targeting younger audiences while engaging the online audience with Starbucks brand site. Brand sites are ideal for building your referral program. Here is an example of Amazon Referral program where members earn credit for referrals towards their next purchase. The program can be extended for loyalty points for Brands that offer rewards on purchases. 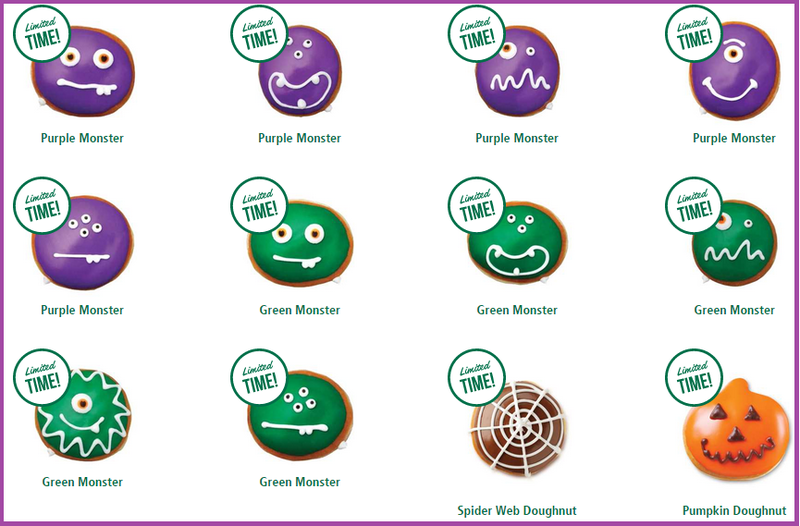 Some of the other examples for different categories are on Referral Candy. With engaged users for your products, Gift cards and Rewards program are a way to engage loyal users. With a brand site, not only can you promote your referral program, you can also include Gift cards and Reward Programs to create an engaged audience. Taco Bell Gift cards that are usable across Retail outlets and are flexible with linked bank accounts. “Yeah, you know a good present when you see one. Taco Bell Gift Cards are available at participating restaurants and places like Walmart, Target, and Walgreens. You can purchase an e-gift and send an e-gift card for those times when you “definitely didn’t forget” that it was his/her birthday by downloading the mobile app. Once a Taco Bell card is registered at TacoBell.com, the owner can always add more cash to the card, making it literally the gift that keeps on giving. Plus, Taco Bell account holders can also check their gift card balances, manage multiple cards, and enjoy countless other perks of being a part of the Taco Bell fam. 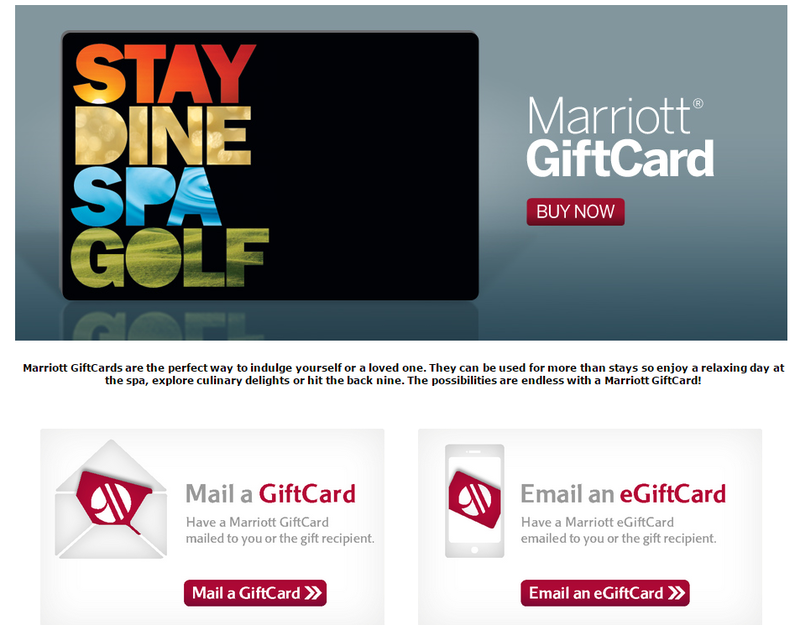 Marriott Rewards site has a Gift cards section that allows users yo email an eGiftcard that promises possibilities of endless opportunities that can be enjoyed for Hotel Stays, Dining, Golf and other Luxury treats. Brand Sites help you create a community of followers that can be prime audience for retargeting with newer offers and seasonal promotions. Hosting UGC for your offers can help create an engaged community who can be your brand advocates too. 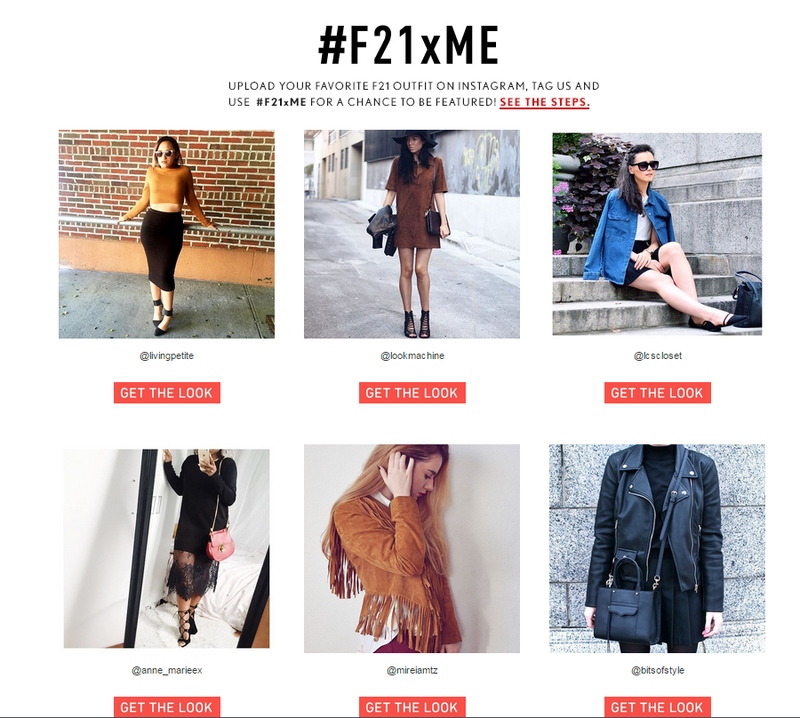 Forever21 features posts of users wearing Forever 21 apparel and accessories that are featured on the brand’s site regularly. The landing page of the promoted images and contest features the steps of how to be featured in the gallery. Monetizing Content with a free trial for users to understand your value proposition can help you secure subscribers at a a faster rate. HBO Now effectively promotes the new movie releases on brand’s site though it’s a multichannel product with Smartphones and multi-platform users as the core target audience. To make the content viewable the brand’s site lists devices details, with programming and channels that are available. As has been proven by Millward Brown’s research, Mobile audiences do not follow a linear path in browsing and purchasing. 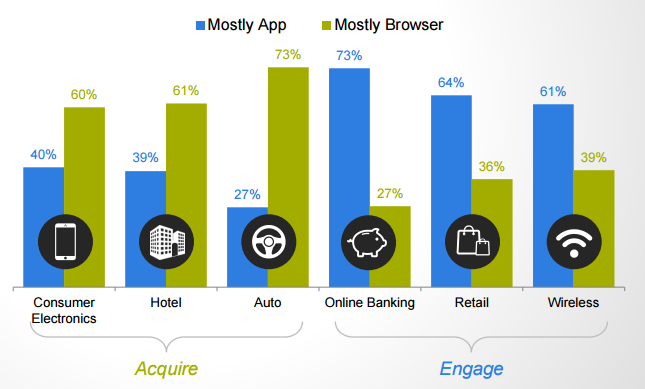 For categories where browsers are key at driving acquisition, Apps are effective at engaging audiences. 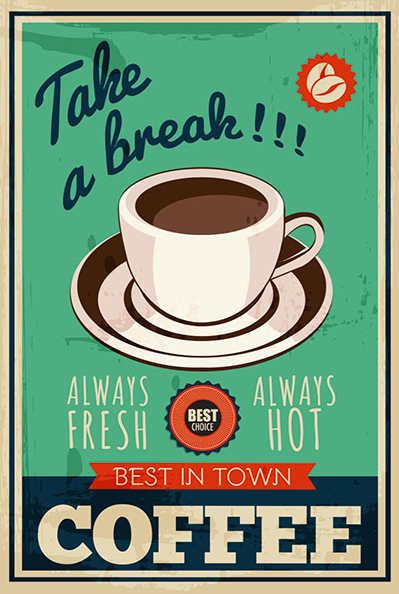 Posted in Advertising, Brand Strategy, Branding, Social Media. Tagged Brand Content, Campaign, Digital, Facebook, Retail, Social Media.